SUMMARY: While investigating separate incident, officer found marijuana paraphernalia. Master Patrol Officer Waylon Degraw responded. SUMMARY: Caller reported person entered building without permission. Patroling Officer Bryan Verzosa responded. SUMMARY: Caller reported two-car property damage motor vehicle accident. A report was taken. Patroling Officer Bryan Verzosa responded. SUMMARY: Caller reported person verbally harassing others. Patroling Officer Lance Clark responded. SUMMARY: Simplex reported fire alarm. Activation caused by burnt food. Master Patrol Officer Bob Jones responded. SUMMARY: Caller reported noise complaint. Officer judicially referred two people for excessive noise and for a safety violation. Sergeant Chris Teribury responded. SUMMARY: Parking services reported vehicle with fraudulent permit. Officer judicially referred one person for acts of dishonesty. Officer Clayton Skinner responded. person needs to be taken into custody under the mental hygiene law. Location of person not known. 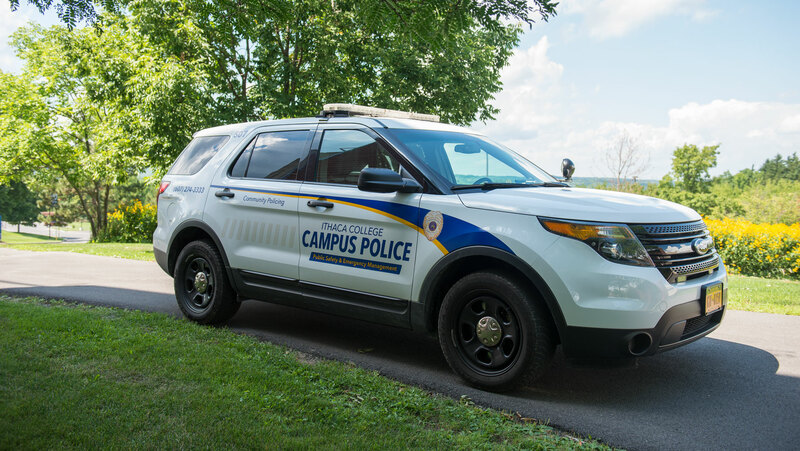 Ithaca College officer reported that the Ithaca Police Department encountered the same person. The person was taken into custody under the mental hygiene law in separate incident in the city of Ithaca. Lieutenant Tom Dunn responded. SUMMARY: Person reported two-car property damage motor vehicle accident. A report was taken. Patrol Officer Lance Clark responed. SUMMARY: Complainant reported unknown person made a suspicious phone call. Patrol Officer Mayra Colon responded. SUMMARY: While officer was investigating separate incident, officer found marijuana. Officer judicially referred one person for criminal possession of marijuana. Lieutenant Melissa Harmon responded. SUMMARY: During health and safety inspection, caller reported marijuana. Officer judicially referred one person for unlawful possession of marijuana. Patrol Officer Dan Redder responded. Location: Circles Apartments Building 131. SUMMARY: During health and safety inspections, caller reported finding marijuana. Patrol Officer Kheim Nguyen responded. SUMMARY: During health and safety inspection, caller reported finding smoke grenade. Officer judicially referred one person for having a flammable device. Master Patrol Officer Bob Jones Responded. medical assistance with the Ithaca Fire Department. Officer judicially referred one person for irresponsible use of alcohol. Master Patrol Officer Waylon Degraw responded. SUMMARY: During health and safety inspection, caller reported marijuana found. Officer judicially referred two people fo unlawful possession of marijuana. Master Patrol Officer Bruce Holmstock responded.